When I was in Hong Kong recently, I drank milk tea everyday because it was so delicious! I made sure to watch how they made it, so I could copy it back at home. 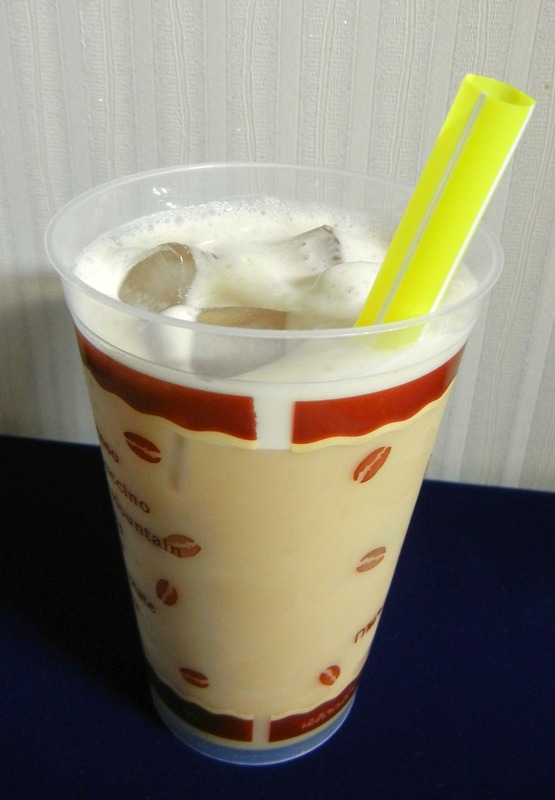 Milk tea is a dreamy blend of creamer, simple syrup, and strong brewed tea. Saturday in Seoul: Let’s have a tea party & play dress-up. A few close friends recently completed their year of teaching in Korea and returned home to the US. Although it was sad to see them leave, their last few months here were full of new adventures in Seoul. They made a list of things they wanted to accomplish before leaving The Land of Kimchi and I am glad they were serious in completing this to-do list. One Saturday, instead of heading into Seoul to experience the plethora of shopping and dining opportunities that we love, we ventured to a new part of the city and found our way to a traditional Korean hanok (home) where we, for less than $20, learned how to properly drink and serve tea and dressed in hanbok clothing. I looked for Kombucha in Busan for a couple months, but I had no luck finding anybody who was brewing it. I finally ordered a starter from the USA and it's growing nicely. If anyone needs a starter mushroom, just send me a message with your email or phone number. I live in Gwangan and work near Seomyeon. I'm excited to finally be making Kombucha and I want others to enjoy it too! The road was dusty and the road was hot. Inside the air-conditioned car much of this didn’t matter as much. From Ipoh, the highway curved steadily between limestone bastions that seemed to have risen from the earth like mushrooms. Eventually the road climbed and these individual giant outcrops melded into larger formations, and before long we were winding through these formations that were now the beginning of a larger mountain range. The more the road climbed, the further it went from what would commonly be referred to as civilisation. With that, the jungle seemed to take over as the trees rose higher and the variety, from what I could see from the back seat, seemed to be changing every time we went another hundred metres above sea-level. This past weekend a few friends and I went to the tiny little town of Boseong (보성) to go to the stunning green tea fields. Now from Busan it's a bit of a trek. By bus it takes 3 hours each way and the two morning buses leave at 6:30 and the next not until 9:40 from Sasang. You could go to somewhere nearby and then transfer, but we went the more direct route. The last bus of the day leaves really early at 5:40 so you either have to have a jam packed day like we did, or spend the night. It's a small town, so maybe if you went somewhere else close by for the next day it would be a better plan. 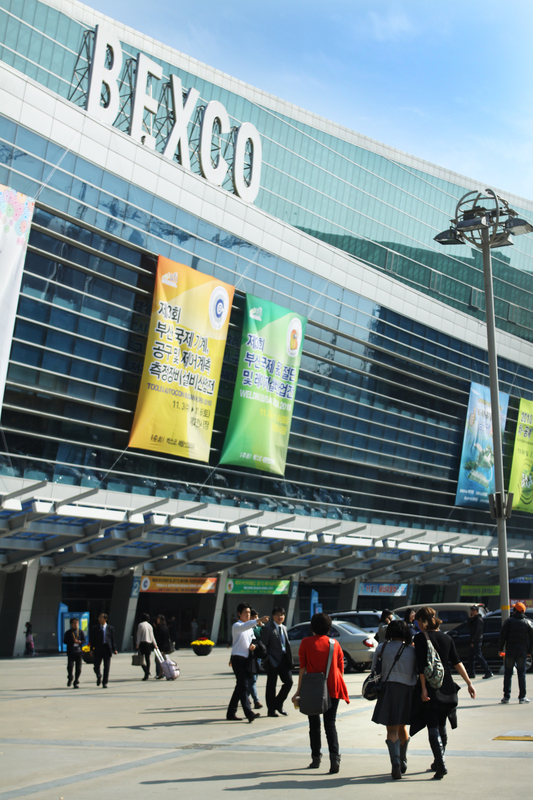 There are quite a few ‘KTX Tours’ available – typically one- or two-day trip offering to whisk you away to sights around the country using Korea’s fast train service. While the KTX train didn’t take us all the way to our first destination, the chartered bus took us the rest of the way. 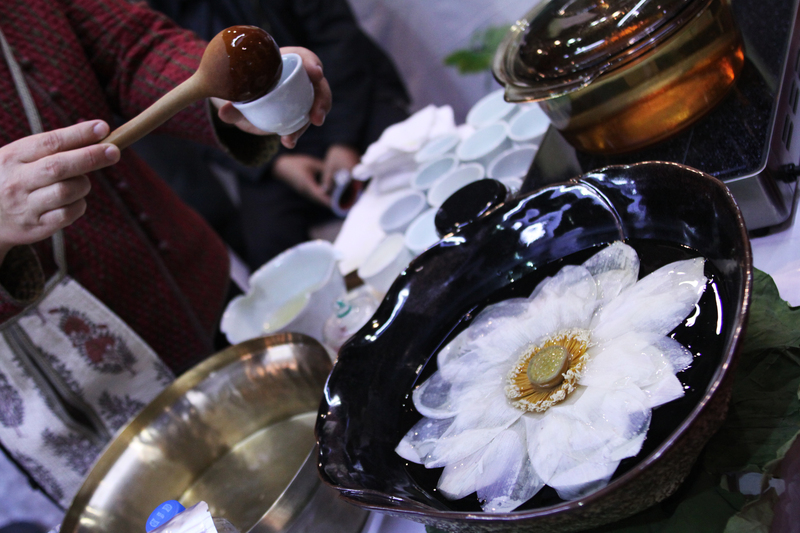 lotus flower tea may be the prettiest tea on the planet. if tea didn’t seem like mysterious alchemy before, this contraption might convince you.